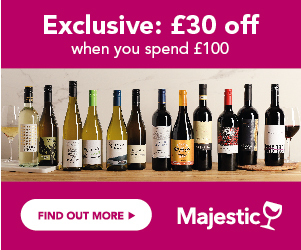 Compare the latest offers on Chardonnay wines from top UK merchants. Use our search filters to find your preferred country, region, merchant or brand. Look for awards and reviews to achieve the right balance between quality and price. Sign up for Price Alerts if you want us to email you when your chosen bottle goes on sale. No other grape variety, either red or white, has experienced the level of success that this most regal of all white wines grapes has achieved. From the noble wines of Chablis and other Burgundy greats such as Meursault, Pouilly Fuissé and Le Montrachet, Chardonnay has travelled the world making its mark almost everywhere, and with distinction. To both the growers and consumers delight Chardonnay is a simple grape that requires less attention than most, even when just maturing in stainless steel as in Chablis it can create, in the right hands of course, magnificent wines of such uncomplicated character and recognisable individuality. A well produced Chablis is still recognised as the best and most natural example of Chardonnay in the world. Chardonnay is also a reliable blending partner for other grape varieties such as Viognier, a relatively ‘new invention’ and proving to be quite popular, particularly in New World Wine countries. When influenced by oak maturation as in most Australian wines and also French Burgundy Meursault, the wines take on a different and more sumptuous personality. Another claim to fame is Chardonnay’s presence as one of the three grape varieties that go to make Champagne and is most significant to the individual style and quality required by the Champagne Houses to achieve their own and unmistakable identity. When used alone in the Champagne process, it creates the inimitable and delicious style of Blanc de Blancs. So what is the fascination and global appeal of Chardonnay? Undoubtedly style and reliability is the answer. Wherever in the world it is produced, consumers have the confidence that when purchasing a ‘Chardonnay’ that they will always have a wine with an ‘easy drinking style’. Only in some cases when Chardonnay can be ‘over-oaked’ it is then not given the freedom to display its natural and most authentic flavours. To say that Chardonnay is a ‘world player,’ particularly since the 1960’s, is no understatement. From China to Chile and England to Argentina Chardonnay produces wines of such different styles that there is so much to choose from to delight us all. The ‘classic white Chardonnays of Burgundy can age up to 10 years but in the case of New World wines then drinking between 4 and 5 years is recommended to enjoy them at their best. The general rule of thumb is - the cheaper the price then the younger the age for drinking! So what do we look for in a typical Chardonnay wine? On the Eye: Light pale straw with green tints for Chablis, more mellow for other Burgundy wines. For New World - deeper shades of straw with lemon and lime highlights. On the Nose: Chablis has the unmistakable aroma of ‘gun flint’, green apples and sometimes pear. The oaked Chardonnay wines of Burgundy and New World take on a butterscotch fragrance with overtones of caramel, oatmeal, nuts, mango and pineapple. On the Palate: Burgundy whites will have a buttery and more savoury style with stronger mineral hints for Chablis. New world wines will display more fruit and with the influence of oak, more butter, cream and tropical fruits. Classic matches for Chardonnay will of course be seafood and most fish dishes, with Chablis being the perfect match for oysters. Heavier oaked Chardonnay wines will complement light white meat and vegetarian dishes. Also as Chardonnay wine is now produced in so many different countries, choose a typical but suitable dish from a region and have fun with matching a wine from the same area. For example, a Chardonnay from the ‘Alto Adige’ region of northeast Italy is so close to the Austrian border and the wines are simple and mostly un-oaked. So try a selection of cured meats, salamis, cold thinly sliced pork and light cheeses with lots of fresh, warm crusty rustic breads – a feast of enjoyment!